Home Sport Become a Dragon today! 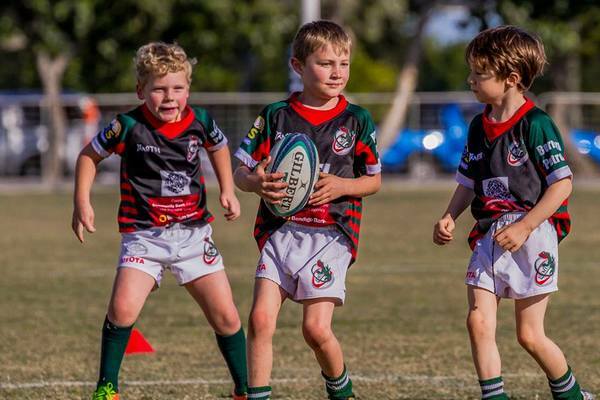 The Eumundi Dragons Junior Rugby Union Club, based at the Eumundi Showgrounds, is looking forward to another season of safe, family oriented, fun-filled junior rugby. The club, which was formed in 2008, is confident of nominating at least five teams in the Sunshine Coast Junior Rugby competition this year. These teams will be for under 6, under 7, under 8, under 9 and under 10, as well as a possible under 13 girls sevens team should there be the interest. Despite the dry summer so far, the fields are in immaculate condition and ready for the club’s sign-ups on February 2 and 9. Prospective players who are unable to attend these official sign up days still have the opportunity to register at the Dragons’ training sessions which start on Thursday 14 February from 4.30pm to 5.30pm. This opportunity exists right up until the Easter holidays. “Anyone thinking of joining our club is most welcome. No previous experience is needed,” President Doug Toms said.